Screw Conveyor we offer to our customers at extreme range. We manufacture and export screw conveyors to our customers at reasonable price. 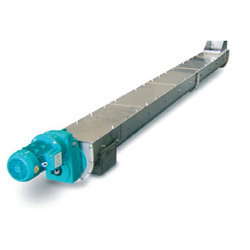 These conveyors are free from rust and also available at various sizes. These conveyors can be modified in accordance with client’s requirements. We provide these conveyers which are used by our clients at huge range and meet the need of the customers. These Screw Conveyor are easy to handle and very light in weight. These conveyors are easily transported from one place to another. We manufacture and export industrial screw conveyors at competitive range. These conveyors are strong in design and easy to operate. These screw conveyors are used widely by our customers for their unique features.